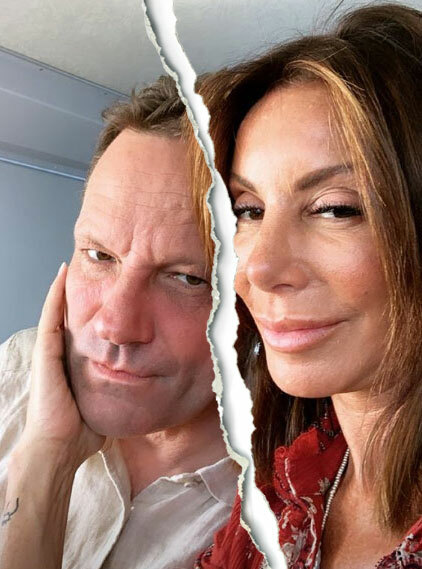 Danielle Staub’s whirlwind romance with Oliver Maier has come to an end. The Real Housewives of New Jersey star and the businessman have called it quits after postponing their wedding, multiple sources tell Us Weekly exclusively. The 56-year-old reality star was set to marry Maier at the Justice of the Peace in New York City on Monday, March 4. Us confirmed on Saturday, March 2, however, that the twosome were no longer planning to exchange vows after dating for only six weeks. A second source tells Us that the former couple went shopping for an engagement ring over the weekend, but Maier ultimately did not purchase one for Staub — even though she showed it off online. Staub’s split from Maier comes less than two weeks after her divorce from ex-husband Marty Caffrey was finalized following their tumultuous relationship. The former spouses, who wed in front of Bravo cameras in the Bahamas in May 2018, called it quits in September after four months of marriage. Their divorce was finalized on February 21. “Danielle is extremely relieved this toxic situation is coming to a close and looks forward to getting her life back,” the reality personality’s rep told Us at the time. Staub was previously married to Kevin Maher from 1986 to 1987 and Thomas Staub, with whom she shares daughters Christine, 25, and Jillian, 20, from 1993 to 2007. She has been engaged 21 times. While it’s unclear whether Staub’s relationship drama will be featured on RHONJ, she is expected to return in a friend role for season 10, which begins filming this month.